Even though tonight is back to the usual place of America, let’s hope the show is still way above par, especially after last week’s cliffhanger with The Shield attacking Ryback too! How will the “meathead” respond? Also, WWE Champion John Cena has legitimately injured his Achilles tendon (thank you Colin for the info), so what will this mean for the WWE Championship match at Extreme Rules? Who will be “Fandangoing” in Columbus, Ohio and how will the new revolution reply to Chris Jericho? This is exactly how Raw opens tonight as Michael Cole welcomes us to a sold-out arena in Columbus. The winner gets to pick the stipulation for the World Heavyweight Championship Triple-Threat match at Extreme Rules. Zeb immediately ducks out of the ring and lets Big E. control over Ricardo. He runs and shoulder-tackles Rodriguez into one ring post, but misses the other as Ricardo leap-frogs him. Colter steps back in and they both hammer away to put Langston down. 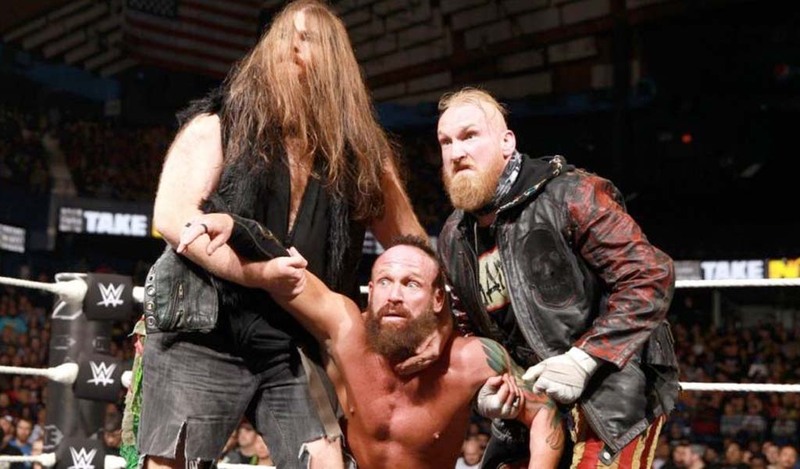 Colter baits Ricardo to the center of the ring, allowing Big E. to run over him with a clothesline. Zeb takes advantage with some punches, pushing Langston aside, which angers him. Colter fakes a knee injury as Langston intimidates, and Swagger checks on him. In the meantime, Ricardo tries to hurt Langston with a couple of shots with Alberto’s water/towel buck, but they have absolutely no effect. He belly-to-belly suplexes Ricardo, but Alberto jumps in and gives him an enziguri. Ziggler follows up with a dropkick, taking out Del Rio. Swagger chucks out Dolph, and Colter tries to get the pin, but A.J. stops the referee from counting to three by clutching his arm. Distracted by this, Colter gets rolled up from behind to give Rodriguez/Alberto the victory! Jerry “The King” Lawler, John “Bradshaw” Layfield and Michael Cole discuss the main event, which is Ryback and WWE Champion John Cena teaming up against The Shield. They also confirm that while Cena is injured, he is still ready to go and Cena has tweeted that he won’t miss Monday Night Raw. The WWE Champion will be out next to celebrate World Wish Day. Footage of WWE Champion John Cena granting his latest wish to young fan, Nick Santillo, on the “Today Show” airs, then he and three Make-A-Wish kids come on out. The boys (Jacob Larson, Nick Santillo, and Logan Parks) stand on the stage with their elder guardians, along with the WWE Champion. John Cena puts over the children and the Make-A-Wish Foundation. He gives them another honour, to make them WWE Superstars for a night. Josh’s nickname is “The Eliminator,” Nick is known as “Nick The Stitch,” and Logan goes by “Lightning Logan.” Cena asks the fans to help welcome them with cheers, which get louder and louder. Cena tells the kids to enjoy the show. Up next, Randy Orton is in action. Elbow/collar tie-up to begin, and Orton takes Cody down with a couple of side-headlocks. They square off again, with Rhodes clamping on the side-headlock this time. Orton hits an elbow and the two lockup again. Rhodes backs Orton into the corner and kicks away, but Randy counters by throwing him over the ropes and dropkicking him, twice! Orton takes control and stomps away, but gets pulled into the second turnbuckle by Cody. He now dominates with punches and stomps, but “The Viper” reverses a suplex into one of his own. Orton toys with him, and Rhodes gets a little offense, but gets clotheslined on the outside. Orton attempts an R.K.O. back in the ring, but Cody shoves him off and they glare at each other into a break. Back live, Orton attempts to re-enter the ring, but Rhodes takes him out with the Disaster Kick, knocking him to the outside. Cody rolls him back into the ring for a couple of quick cover attempts, then hammers away puts him down with an again. He grapples Randy with a grounding rear chinlock, but Orton is gaining strength and standing again. He fights his way out, but Rhodes lands on his feet out of a backdrop attempt and puts him down with an uppercut. They go back-and-forth with blows, but Cody gets the upper hand with some stomps. He ascends the turnbuckle, but Orton crotches him on the top rope and brings him down with a HUGE superplex! 1 – 2 – Rhodes kicks out! Orton is “zoning up,” hitting clotheslines and the powerslam. He flips Cody over with a t-bone suplex, then plants him with the slingshot DDT. Orton fires himself and the crowd up (hot crowd too! ), but Rhodes reverses another R.K.O. try into the CrossRhodes! 1 – 2 – NO, Orton gets the shoulder up! Cody freaks out and makes a mistake with the Disaster Kick attempt, as Orton catches him mid-air with the R.K.O. for the hard-fought W! Post (fantastic) match, Matt Striker interviews Orton about The Big Show knocking him out at Wrestlemania XXIX. Orton says it fuels him. “I’ve never been so focused. I’ve never been so ‘extreme. '” He then drops Rhodes with another sudden R.K.O. Brie Bella is warming up when the other comes over and puts themselves and the new Divas reality show over. (which will premiere on E! in July). Brie will take on Naomi next. Brie locks up with Naomi shoves her head-first to the mat. Naomi rebounds with a flipping clothesline and dropkick. She kicks Brie off the ropes and hangs her there, but Nikki switches with Brie. Naomi pulled her back in, however Nikki small-packages her to receive the 1 – 2 – 3! Post-match, Naomi complains to the referee and he decides to reverse the decision, based on a dq! The Bellas then assault Naomi and Cameron, then walk off proudly. Seth Rollins, Dean Ambrose, and Roman Reigns enter through the crowd to the ring. Ambrose says they have fought injustice since they arrived. Rollins claims they have been serving their own “justice” since last November. They go through the least, complete with photos, of those who have not being able to stop them. John Cena, Ryback, Sheamus, The Big Show, and even The Rock have all been victims. They say those men were all mortals, but now they have gone to the immortal, serving “justice” to The Undertaker from last Friday’s Smackdown. The video of their attack on “The Deadman” follows. In short, they want revenge, but “The Hounds Of Justice” prevail quickly until the pyro of Tag-Team Champions “Team Hell No” explodes on the stage! Kane and Daniel Bryan march to the ring, but Ambrose, Rollins, and Reigns vacate. Instead, Kane and Bryan take out “3.M.B” (and hopefully for the last time! ), then Bryan leads Columbus in a “yes, yes, yes” chant. The Shield retreats to the back as “Team Hell No” metaphorically stand tall in the ring. WWE Champion John Cena is getting taped up when Ryback walks in. Cena says he is “hurt,” not “injured,” but Ryback declares he cannot take that chance and walks off. Kofi and Dolph lock up and trade holds to begin. Kingston brings Ziggler down with a Russian Legsweep and stiff kick, then covers for two after a springboard splash! Dolph breaks out of a wristlock and squeezes on a grounding side headlock. Dolph runs over Kingston with a shoulder block, but Kofi flies back with clotheslines. He goes to jump off the ropes, however the World Heavyweight Champion counters with a dropkick. Back live, Ziggler has Kofi in a half-camel clutch, then clotheslines him hard in the corner. He pays homage to the late-great “Ravishing” Rick Rude by swing his crotch around and dropping Kofi with a neckbreaker. Ziggler tries to follow up with a splash and misses, but still is able to be aggressive with kicks and punches in the corner. Kofi fights back with some of his own plus a dropkick and jumping forearm. He nails the boom drop legdrop, and encourages the fans to help him. He goes for the “Trouble In Paradise” spin-kick, but Dolph ducks and jumps on him with a high, fierce DDT. 1 – 2 – Kofi kicks out! They slug it out, and Kofi catches Ziggler with the S.O.S. for another near-fall! Kofi manages to hit him with the Trouble kick, but A.J. puts her man’s foot on the ropes before the referee slaps the mat. Big E. tries to “wake up” Dolph, but Kofi dives off the ropes onto them both. Kofi flies with a high crossbody for a close two-count! They both reverse roll-ups but neither get the fall. Kofi uses the ropes again to spring, but misses, allowing Dolph to hit the Zig-Zag for the victory! Post-match, Big E. finishes Kingston off with his finisher to the pleasure of Dolph Ziggler. Up next, a recap of the Brock Lesnar/Triple H rivalry. World Heavyweight Champion Dolph Ziggler, A.J. and Big E. are walking through the hallways building themselves up, when they walk into Divas Champion Kaitlyn. They get into each other’s faces and Kaitlyn orders A.J. to come and get the title when she wants, if she can. An assistant then brings a gift back, which A.J. assumes is for her, but it is actually for the Divas Champion. Kaitlyn opens the present, which is a real-ugly spiked hat. A card follows, with no name but admiring Katilyn nonetheless. A montage of the feud between Triple H and Brock Lesnar is shown. Supervising Manager Vickie Guerrero and Assistant Brad Maddox are chatting when Ryback barges in. He informs them that he is not facing The Shield again in a handicap match, insinuating that a hurt John Cena will be a no-go. Vickie agrees, so she changes it to a 6-man-tag, The Shield facing Ryback and “Team Hell No.” Ryback says that he doesn’t trust either of them, so emphatically says “no,” and leaves. Swagger dominates most of the bout, despite Zack putting a little offence in with a dropkick. Jack lands on him with a couple of Swaggerbombs, and a gut-wrench powerbomb soon after. “The Real American” clamps on the “Patriot Lock” ankle lock and forces Ryder to tap-out. Mark Henry is walking to the ring and the “World’s Strongest Man” is carrying a heavy rope. Matt Striker attempts to talk to Ryback, but he has dressed in street clothes and leaves the arena! Mark Henry is in the ring and introduces himself. He is out to prove that he is the strongest man in the world. He asked Vickie Guerrero for two opponents and she has obliged. His first – “Sweet T” Tensai. They both grab the rope and proceed with a tug-of-war contest. Henry wins this easily, yanking him across the line on the mat. He does the same to “Sweet T’s” partner, “The Funkasaurus” Brodus Clay, but is disturbed by his rival, Sheamus. The Irishman is impressed by Henry’s feat, and asks him to join for one more. Mark accepts and they set up. Of course, it is an even contest at first until Henry pulls Sheamus very close to the line. Sheamus pulls back, but lets go of the rope and Brogue Kicks the 400-pounder down. Tag-Team Champions “Team Hell No” order Vickie and Brad to keep the match, as they still want to take on The Shield. They agree then Vickie whispers something into Maddox’s ear. WWE Champion John Cena immediately dismisses Brad Maddox and makes him go tell Guerrero that he will fight tonight with “Team Hell No” against Ambrose, Rollins, and Reigns. It is even for the first bit, then Cesaro reverses a suplex into one of his own. Alberto hits him in the arm with an enziguri (nice aim!) He takes him down with a running hurricanrana, then hammers away on Antonio’s back with nine blows. As Ricardo drums up for 10, Del Rio drops him with the backstabber backbreaker. Back live, Antonio is dominating over Del Rio with a grounding reverse rear chinlock. He jumps and double-stomps Alberto, then brings him down with a gut-wrench suplex for two! He gears up and runs at Del Rio in the corner with an uppercut then returns to the grounding rear reverse chinlock. Ricardo cheers on Del Rio, which helps as the “Mexican Aristocrat” gears up with clotheslines. He receives a very close-count with a German suplex, and dives off the top rope, but is nailed with an uppercut! 1 – 2 – kickout by Alberto Cesaro runs to Del Rio in the corner, but Alberto moves and Antonio smacks the ring post. Del Rio nails a stiff kick for another close call! He tries the Cross Armbreaker submission, but Cesaro reverses into a roll-up, which Del Rio counters back into the hold and Cesaro has to give in! Post-match, Alberto signals “climbing” with his fingers and chooses a LADDER MATCH for the Triple-Threat World Heavyweight Championship at Extreme Rules! Jerry “The King” Lawler hosts this competition, first asking each what they thought of Chris Jericho’s appearance on Dancing With The Stars. Both more/less say they are better, and don’t prove it, but the fans do love The Great Khali’s moves with Natalya over Fandango’s with Summer Rae. Post-dance, Fandango is upset at the result and literately takes it out on Khali, chopping him down then flying off the top rope with a legdrop! “It’s Fan-Dan-Go,” he declares and walks off with Summer. Following a montage of Smackdown again, where The Shield took out The Undertaker, the main-event begins! (Note: Cena and “Team Hell No” made their entrances prior to the break.) The Shield surround the ring as usual, and all six men brawl until it settles to Kane and Ambrose. “The Big Red Machine” dominates with kicks and a headbutt, but Ambrose slides out of a scoop slam and tags in Reigns. Kane continues to control with uppercuts and right hands, plus a shoulder block. Roman manages to corner Kane and switch with Seth, who gets a boot-to-the-face. Kane hurls him in the face’s corner and just keeps hammering away. Kane tags in Cena and The Champ is good to go at first, then mistakenly uses his injured ankle for a kick, hurting him more. Bryan is in now and goes at it against Ambrose. He kicks away too then switches with his champion partner. Kane holds Dean back in a surfboard submission, then tags in Daniel again. Bryan pulls Ambrose back in another surfboard version and it opens up for Kane to dropkick him! Kane then dives off the top rope but Dean rolls through. Back live, Ambrose has a surfboard on Daniel this time, then abuses him some more before tagging in Rollins. He clamps on a grounding armlock, but Bryan begins to fight back. He makes it to “The Shield’s” corner and punches away, but turns around into an enziguri to drop him. 1 – 2 – Daniel kicks out! Cena is on the apron, begging to be tagged in. Reigns is in and locks on a grounding full nelson. Bryan battles out, but gets put down with a Samoan drop for two! Reigns hurries at Bryan, but the ropes are pulled down and he goes hurling over to the floor This gives ample time for Kane to tag in and he goes to town on both Ambrose and Rollins. The WWE Champion is all over The Shield, with shoulder blocks and a spin-out backdrop on Roman, plus the “5-Knuckle Shuffle.” He catches Rollins out of a diving crossbody into the Attitude Adjustment, but his ankle buckles and Reigns takes advantage with a spear for the victory! Post-match, Ryback appears on stage and smirks at a hurt WWE Champion. The Shield exit and a medical technician attends to John as Ryback, closing the show. Wow! I think this was a fantastic show! The best part(s) – the wrestling! Tonight was an abundance of matches and they were great ones too. Definitely A LOT of pluses for Raw in the analysis! Excellence: Overall, the matches themselves. In particular, the suspense of Rhodes/Orton and Ziggler/Kingston – classics!. I liked the twist of having the managers/bodyguards in the Triple-Threat opener to determine a stipulation for the Extreme Rules match, even though it was basically just a comedy match. On the plus, I truly didn’t know who would win! 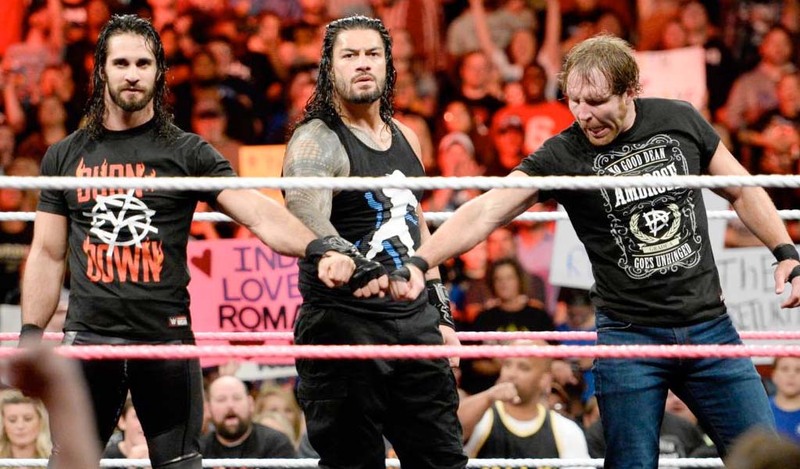 As I said with Swagger/Colter/Del Rio, this time it is The Shield that can do absolutely no wrong! I’m loving their promos and each individual has a different personality (especially Dean Ambrose, who reminds both my Dad and I of the late-great Brian Pillman with his facial expressions and raspy voice.) Their match in the main event was also superb. I believe they are on par with the “n.W.o.” and have the potential to be greater in some aspects (i.e. wrestling ability). Liking the Henry/Sheamus feud and the display of “tug-of-war” was unique. Del Rio/Cesaro another good mat-based, rough bout. Same with Ryback and Cena. Liked the fact he didn’t say much and is being a “lone wolf,” playing mind games with Cena by leaving then coming back to gawk at his injury. That too will be interesting to find out in the next three weeks – is the WWE Champion hurt enough to not continue his title reign and give it to Ryback, or will he heal up and be able to solider on? Lastly, the Make-A-Wish segment. That was really cool, and I felt especially proud since I am a man with a physical, life-threatening disability too. So it is really neat to see/read about big celebrities and organizations like WWE Champion John Cena and WWE giving back to help dreams of those who are in serious need/less fortunate. And to see Cena and the boys tonight sincerely enjoy it was truly awesome! Let’s hope they do more of these. Bogus: The finish to the Bella Twins/Naomi match. That was just a dumb explanation. If everyone complained about the result and were able to change the decision based on that, this world would be a whole lot easier or messed up – depending on the situation! Fandango – I was really liking him, and still am. I think tonight’s segment though toned him down. Plus, where was Chris Jericho to continue the hot feud? Jerry Lawler ordering pizza – that was just lame and really a sad statement on society. As much as I loved the actual match of World Heavyweight Champion Dolph Ziggler and United States Champion Kofi Kingston, the idea of “Champion VS. Champion” was really bad in this case, because it hurt whoever lost, as they had just both won a major title and were gaining momentum. They could’ve easily faced someone else to win respectively and saved face. Still an incredible contest! Again, this was a tremendous Raw, and everyone stepped up their game tonight – keep it up for next week! Until then, as always, be excellent Wrestling-Online readers and wrestling fans! First look at the upcoming Total Divas show on E!